This sailboat complies with the requirements of our mission. We firmly believe that a yacht charter agency must create added value by providing local knowledge. This can be achieved only through familiarity with the destinations, experience in sailing, knowledge of the vessels and their crews, and passion for the sea and its culture. On top of this, we decided to put even more energy in other features, such as food, wine and art to improve the quality of our offer, and this decision came after years of serving clients in their crewed charters. Visit the pages of our Magazine to know more. Paolo Scarinci, executive director and “soul” of this vessel, starts to sail about 40 years ago, when he was only a teenager, on his fathers’ ketch. Michele ; his father, was a precursor of sailing in Apulia Region in the 50’s, thanks to him he learn sailing and know the most beautiful places in the Mediterranean Sea, still not invaded from yachtsmen fleet. Driven by the passion handed down from his father, he started sailing on small crafts: first on Flying Junior, than on the “470” and lastly on A-class catamaran. 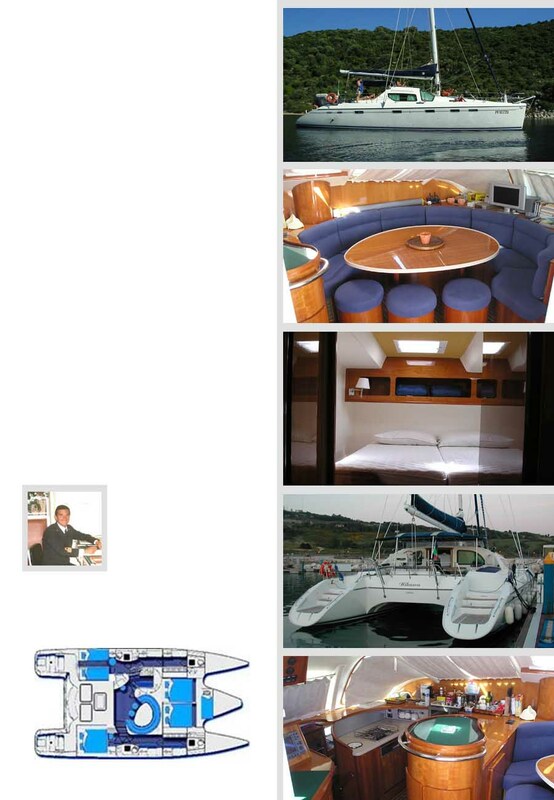 It was just from that kind of catamarans that started his “illness” about multihulls (70’s), was this passion that allows him to gain a considerable experience, sailing during all these years on most of models present in the market, attending sites an doing surveys.